Lester Holt is replacing Brian Williams as anchor of NBC Nightly News. Holt also hosts Dateline NBC and Weekend Today. Currently suspended, Williams will assume the role of anchor at Breaking News and Special Reports at MSNBC and NBC News live special reports in August. 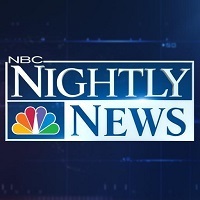 For the latest news of the day, follow NBC Nightly News on Twitter.